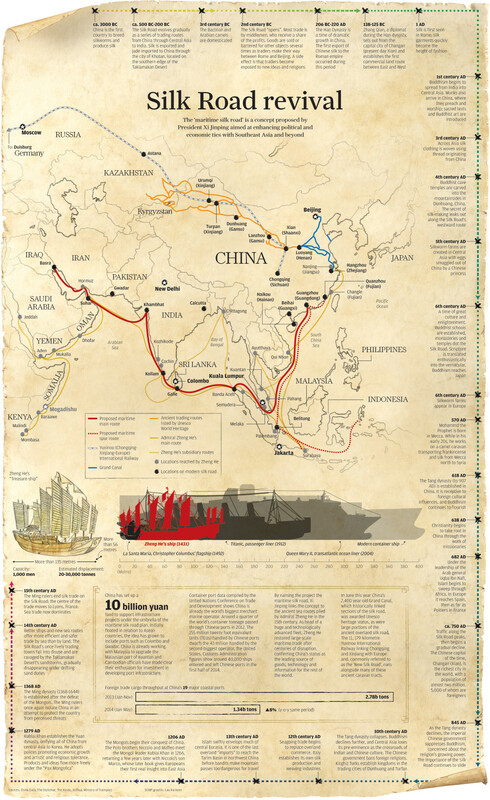 The 21st century’s version of the old Silk Road that led caravans of traders from around the world to China and back is the flight path between the African continent and China. Bangkok Airport is one of the oasis on the New Silk Route, where I caught the Kenyan Airways flight on its stopover between Guangzhou and Nairobi. Sitting next to me were entrepreneurs – the lady from Kigali returning after deal making in electronics and new clothes and the Congolese traders from Brazzaville exuberantly enjoying their after dinner cognacs, all chattering away in French. It was the onboard announcement made just prior to landing in Nairobi that made me realize what I had just experienced – connecting flights out of Nairobi reached across the Sub Saharan landscape from Accra to Kigali, Harare to Lubumbashi – exotic names in distant places, yet gathered under one roof, if only for a short moment in time. How different was this from caravanserais of yore as the mishmash of “small small English” mingled with la langue francais et every mother’s tongue? Kenya Airways had Thai stewardesses and I heard each safety instruction being repeated in fluent Mandarin, Gujerati and Swahili as well. Only the technology and the means of transportation and communication have changed, the bazaar is still the marketplace for exchange of goods and services as it has always been. Until now I’d only read about increasing trade between these two far flung places, the majority of which emerging from the so called informal economy or Neuwirth’s systeme D. But this short immersion in the energy flow in between underlined the reality and scale of what was happening. The flight was full and there were few getting on in Bangkok, the vast majority of passengers returning to their various destinations after their short sojourns in Guangzhou. The other flights out of Bangkok – to Brisbane or London – were full of holidaymakers but not this flight unless one counted the group of young Koreans going on a volunteer trip with an NGO. 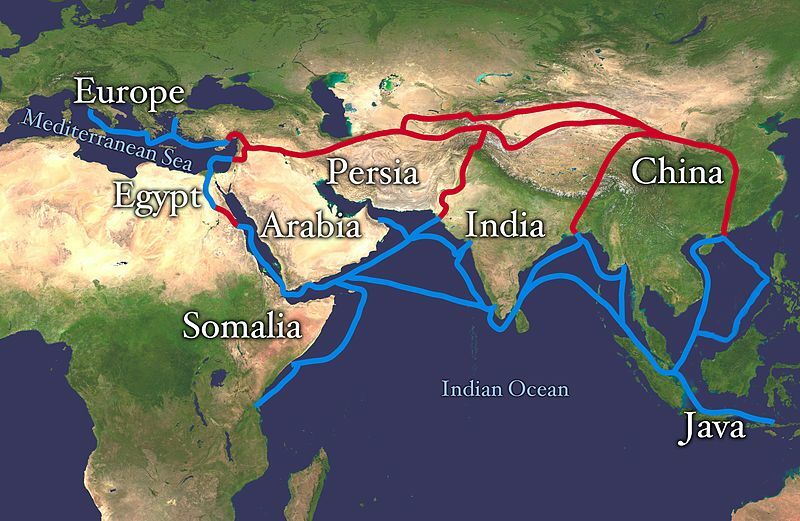 Perhaps its time the old Silk Road map was updated with current day flight paths in bright purple. Including undocumented immigrants, it is estimated that there are an astounding 150,000 Africans in Guangzhou, a majority of them male. It should come as no surprise then that among Guangzhou’s foreign residents, those from Africa make up the largest proportion. These immigrants essentially operate on an individual basis. Working in China as buyers, they can be seen determinedly ranging the streets of central Guangzhou’s wholesale district. There are variations in density, but among the passersby on some bustling streets, half will have African features. There are those from East Africa and West Africa, of all kinds of builds from all different countries. They come to stock up on goods ranging from clothes to cosmetics and sundries, even fake brands – probably collected from factories forced to compete with prices in the Guangzhou region – seeking out deals for everything. Gathering together enough to fill a shipping container, they send these miscellanies home and then flip them for twice the cost, with Guangzhou’s customs duty apparently accommodating such motley trade. The individual buyers are supervised by North African or Middle Eastern controllers, and when night comes they gather at restaurants to carry out microloan-style finance meetings. There are several such restaurants near Xiaobei station, all observing Halal practice. Based on their appearances, the staff at these family-run establishments seem to be Chinese Muslims – probably from Xinjiang – who are recruited through ethnic networks. As night deepens, the restaurants become sites for the buyers to exchange information among themselves, with groups of men gathered around different tables, all speaking intently in any number of languages. (On one visit coinciding with the recent revolutions in North Africa and the Middle East, several men looked as though they were about to be sucked into a television relaying broadcasts from Al Jazeera.) All the services necessary to support their lives are concentrated in these enclaves. There are restaurants serving cuisine from the Congo and Nigeria, stalls with cheap telephone rates to Africa, mobile phone brokers, specialty barbers, vendors hawking cassettes and CDs of African music, and in some buildings that have been completely occupied by African tenants, the rare African-run intermediary wholesaler doing order-made customization. To put it simply, Guangzhou’s African enclaves can be seen as an effect of globalization. African buyers seeking cheap products come to China, “the world’s factory.” Yet if globalization is generally understood as the reproduction of standardized conditions across the world – as with the buildings of Pearl River New Town and McDonalds franchises – the African enclaves present an exceptional case study of globalization.